Free household hazardous waste mobile collection sittes will be offered at various cities in the county from April - October. Many household products you use to clean your kitchen and bathroom, maintain your car and home, and control animals and insects contain hazardous materials. 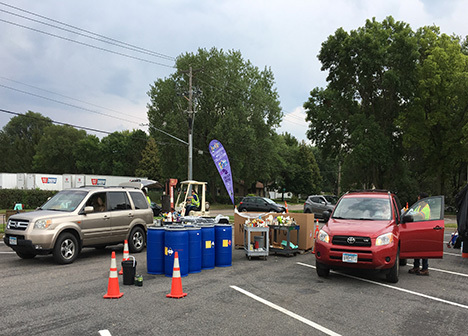 On Fridays and Saturdays throughout each month, the collection site will be available to assist residents in disposing of household products safely and conveniently. It is illegal to dispose of household hazardous waste in the garbage. In addition to the mobile collection sites, a year-round site in Saint Paul is also available to residents. Posted on Thursday, March 28, 2019 - 12:26 p.m.